Limited time offer for Home Cleaning in SF East Bay -- 30% off your first booking! Looking for professional house cleaning services in the East Bay of San Francisco or Oakland? Then we can help. Founded in 2012, Handy is here to help you find top-rated cleaning professionals who can take care of all your cleaning tasks so you can enjoy more free time to do the things you love. Miguel and his wife Bertha were great. They finished the job early and did a really thorough job on our hardwood floors. We have multiple cats so this is no easy feat! Thanks for cleaning our house :) My Family said you were very nice and you did a good job. I was out of town but came home to a clean house. Maurice was very professional and courteous! I liked that he walked me through the apartment to let me inspect. He takes pride in his work! Katia is friendly and thorough. She was able to clean the whole place in 2/3 the time of other professionals! Connie is an excellent professional. She comes prepared and doesn't just do the minimal to get by. She's the best I've experienced. Thank you for a spotless house cleaning! We love your thoroughness and the extra details (like cleaning the crumbs out of the toaster oven). I appreciate Larry doing what's necessary but also extra touches like organizing pantry, etc. Very easy going & pleasant demeanor. TY!! Sun was cheery, self-directing, and very attentive to detail, I'd love for for her to be my cleaning professional again! Why use Handy for house cleaning in the East Bay or Oakland? As one of the leading platforms connecting cheap house cleaning professionals to busy customers across the country, our job is to make your life easier and minimise stress. Your experience matters to us, which is why we have the Handy Happiness Guarantee. In the unlikely event that you’re not satisfied with your home cleaning or any other house cleaning services you book through Handy, we’ll work hard to make things right. What could be better than enjoying a comfortable and tidy home without having to clean it yourself? Your friendly home cleaning professional can take care of all the chores that you’d rather leave in someone else’s hands, from mopping and vacuuming to toilet cleaning and wiping down all your kitchen surfaces. Depending on availability, you can set up a booking for your home cleaning services in the East Bay for as early as tomorrow. All cleaners on the Handy platform have their own supplies, so there's no need to provide them with any equipment. Cleaners on the Handy platform are often much cheaper than competing cleaning companies. We believe a clean and comfortable home should be an affordable luxury. Payment is simple too. Handy offers a secure electronic payments platform, so you won’t have to scramble for cash when your house cleaner arrives. If you need to reschedule a home cleaning because your plans have changed, just tell us at least 24 hours before your appointment and we’ll rebook it for you -- no problem, no fuss. The house cleaning services available through Handy also offer deep-cleaning services for a small extra charge. Who can use Handy for booking home cleaning in the East Bay outside of SF? Home cleaning services are popular with people who don’t have time to clean or just don’t want to do any cleaning themselves. If you’re looking for some extra free time on top of your 9-5 job, hiring cheap home cleaning services through Handy is a great way to get it (and let’s be honest, you’re actually working way more than 9-5). Handy is also perfect for renters who need a thorough move-out house cleaning at the end of their lease, or homeowners preparing an apartment for a new rental. These are just some of the ways that you can benefit from the best home cleaning services in the East Bay region. for this we would like you to empty all trash in the living room and fully clean the kitchen. we would like you to clean all # bathrooms in the house as well as vacuuming the hallways and clearing any trash that's around. Need a female PRO please...Trash underneath sink in the room, please clean corners toy doll house, underneath beds. There is trash under the sink. Clean linen will be available to make the beds. I have a vacuum cleaner so you don’t have to bring one. There is trash under the sink. Clean linen will be available to make the beds. Bamboo or hardwood floor. #,# bathroom. Tiles in the kitchen. one small dog. I will be home. If you can come in the morning it would be great. I have a small dog (# lbs). Also, please dust the floorboards + blinds in living room & bedroom. Thank you! With a very sunny climate, a vibrant arts scene, beautiful parks and excellent nightlife, the East Bay is a wonderful place to live. 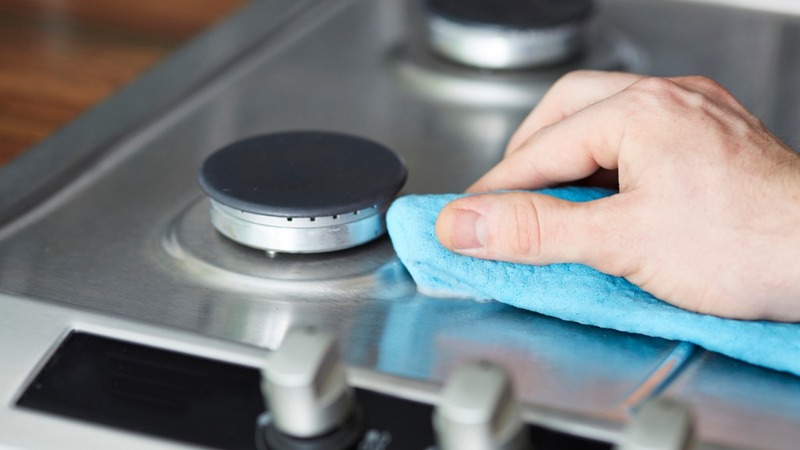 If you spend hours cleaning your home every week or two, now’s the time to let Handy connect you with an East Bay home cleaning service take on that hard work on your behalf, so you can start enjoying life! You’ll have much more free time to do the things that really matter in life: family, leisure, and relaxation. When you purchase cheap house cleaning services in Berkeley, Oakland, or elsewhere in the East Bay, you won’t have to spend hours doing repetitive chores. Whether you need to book a daily home cleaning service, we’ll always aim to put you in touch with the best East bay cheap home cleaners. Just imagine what you could do if you let Handy arrange someone to take care of all your cleaning chores? Go on a trip to Muir Woods or take the family to Oakland Zoo. Or escape down south and do a road trip to Big Sur this weekend, even if the weather is a little chilly! When you use Handy to find one of the most popular cheap home cleaning services in East Bay, you won’t have to worry about coming home to an untidy place. Likewise, if you’re a busy commuter, you can look forward to coming home to a spotless apartment when you book your house cleaning services in Oakland through Handy. Using the best home cleaning app in Oakland will help you make time for the simple pleasures in life. Whenever and wherever you need professional home cleaning services in Berkeley or beyond at the last minute, Handy won’t let you down.